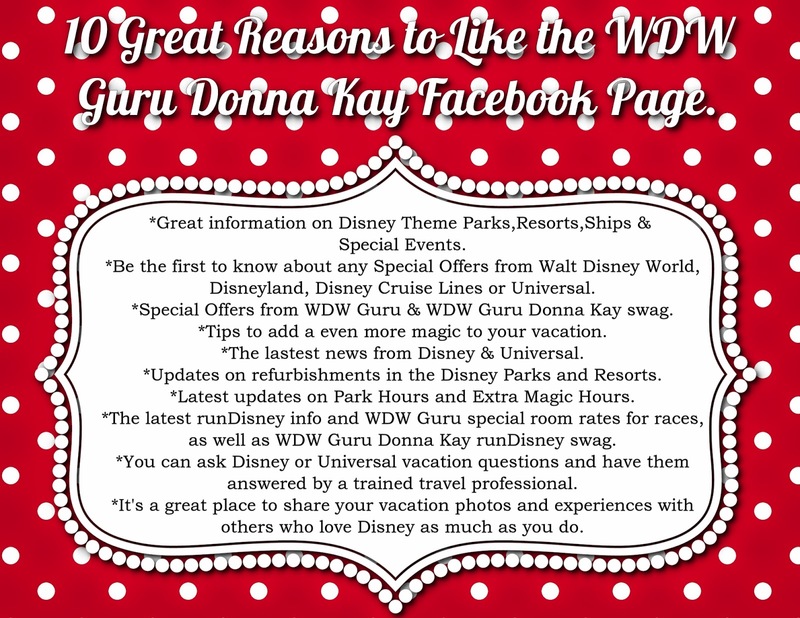 I would love for you to follow my WDW Guru Donna Kay Facebook page! Why should you? Great question! From great tips and tricks to the latest in special offers and refurbishments, I always try to have great info available for novice to seasoned travelers. If there's anything you would like to see there just let me know!